-Seen It- After a party, three girls are kidnapped in broad daylight: two friends (Richardson, Sula), and a difficult outsider (Taylor-Joy, ‘The Witch’). Their captor Kevin (McAvoy) locks the trio in a windowless room, then proceeds to frighten and baffle them. One minute he’s wearing eyeglasses and obsessive about cleanliness, the next he’s presenting as female, and later he acts like a nine-year-old boy. Kevin exhibits 23 personalities, and in order to escape, his captives must convince one of them to set them free, before the arrival of the 24th and final personality: The Beast… Director Shyamalan has wisely employed the cinematographer who did an incredible job on ‘It Follows’, and he’s sticking with the twist endings he started up again with ‘The Visit’. The importance of these endings for him is understated, he began making stinkers as soon as he abandoned the strategy after ‘The Village’. Audiences are (overly) influenced by the effectiveness of the last 10 minutes, and will typically forget slow-pacing and wooden performances earlier if they are left with a jaw dropping rug-pull conclusion. Sure enough there’s plenty of Shyamalan’s awkwardly worded dialogue and terrible line delivery, while the girls frequently don’t behave like human beings. McAvoy’s performance is fine but overrated, he’s a naturally hammy actor and the personalities are mostly separated by how camp they are, with those that are male adults difficult to distinguish. He’s also not intimidating or scary except for a couple of micro-moments. That being said it’s still a watchable and intriguing multi-performance by nature of the excellent concept. Intrigue in what’s going on does build brilliantly, it’s a gripping mystery by its second half as you anticipate what that much-discussed twist might be. When it comes it doesn’t land as brilliantly as his first 4 films but it’s still an interesting cinematic conceit. -Seen It- A college girl (Rothe, ‘La La Land’) wakes in a stranger’s dorm room and does the walk of shame, encountering various campus characters who she hasn’t been very nice to (aka suspects). That evening, she is murdered by a masked assailant. 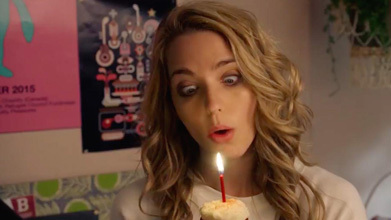 The next morning, she wakes to the same day, which she is doomed to repeat, getting murdered repeatedly, until she deduces who her killer is… From Christopher B. Landon, the director of another pleasantly surprising comedy-horror ‘Scouts Guide to the Zombie Apocalypse’. To get the obvious out the way: yes, this rips off ‘Groundhog Day’ in concept and multiple moments, and, no, nothing will be as good as ‘Groundhog Day’ but it does so with a wit, charm and sense of creepy fun that any fan of slightly cheesy 80s “event day” slashers will enjoy. The Blake Lively lookalike gives an assured and likeable lead performance and the rest of the cast have a breezy energy. Unfortunately the identity of the killer, and their motive, turns out to be lazy and inadequate, and the time loop itself is never given a reason. The script also struggles to overlook that there are lots of ways to defend herself or escape town or hide effectively. Still this is the most purely fun-to-watch slasher since ‘Scream 2’. -Seen It- An African American (Kaluuya, ‘Sicario’) visits his Caucasian girlfriend’s (Williams, ‘Girls’) upper class parents on their estate. Feeling uncomfortable, and hearing that the suburb has a sinister history of young black men disappearing, he is relieved to see another at a garden party. But when that man’s mind snaps out of a hypnotic trance and he hysterically yells at him to “get out”, he’ll find that this is easier said than done… Written and directed by Jordan Peele of ‘Key & Peele’, in his directorial debut. 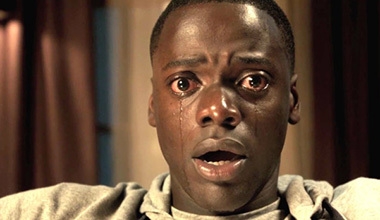 ‘Get Out’ works both as disturbing horror and biting satire. The mixing of psychological terror with… racism, is incredibly bold and quite unique in horror cinema concepts. Horror has always been a great vehicle for allegory, whether its brainless consumerism in ‘Dawn of the Dead’ or today’s racial tensions and the barely-buried historical suspicion toward entitled white people. Hypnosis as an area is underutilised in horror too, and it produces some unsettlingly creepy results. On the downside, the final “evil plan” goes overboard, and the audience is ahead of the protagonists much of the time making it somewhat frustrating to watch them miss their opportunities. -Seen It- In a small town in Maine in 1988, seven children known as The Losers Club come face to face with life problems, bullies and a fear-fed kid-killing monster whose favourite form is a clown… R-rated adaptation of Stephen King’s 1986 novel, which became a TV miniseries in 1990. Its box office has been nothing short of phenomenal: The fourth biggest opening of the year, this went on to take $700m globally (! ), making it (unadjusted for inflation) the highest grossing horror of all time. It’s also a strong film, a perfect re-encapsulation of the world of King for a new generation (shifting seamlessly from 50s childhoods to 80s). The young cast are smart, funny and have great chemistry – you know it’s a premium horror if you can take out the monster and still have a great film (this could have been a ‘Stand By Me’ remake). 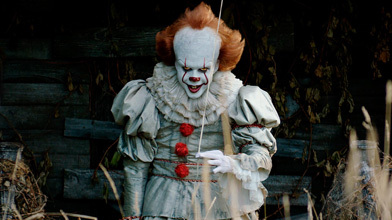 Pennywise, the role made famous by a 44 year old Tim Curry, is reimagined and given even more iconic status by 27 year old Bill Skarsgård (Netflix’s ‘Hemlock Grove’ and son of Stellan Skarsgård). He’s much more of an FX prop this time but it’s effective. The numerous scare sequences (which wisely drop the Universal Monsters and giant spider from the novel) are inventive and memorable, if only occasionally truly scary. Coupled with the similarly jaw dropping box office of ‘Get Out’ (another $255m globally) this has been a pretty unprecedented year for horror going mainstream. Expect to see other King classics remade soon, starting with ‘Pet Sematary’. ‘It: Chapter Two’ lands in a couple of years, set in the 2010s. Let me know your picks, or any I missed, in the comments. Ah yes, here we go! A great and interesting mix, as always – good job! I had many of these in sight, along with a few you may have missed (namely ‘Amityville: The Awakening’) and others that are still awaiting a 2017 release date, such as ‘Jeepers Creepers 3’, ‘Death House’, ‘Mom and Dad’, ’47 Meters Down’, ‘The Dark Tapes’ and the highly unlikely ‘World War Z 2’. Here’s to a (hopefully) great and varied year in horror! Wasn’t girl with all the gifts 2016? Good movie. Think 28 days later meets planet of the apes. Great list…no gunslinger? Watched covenant preview. Looks like it’s diving back into the alien franchise. Hope scott ties the two together. Good points. The list is going by US release dates so Girl With All The Gifts is counted as 2017, even though we in the UK have seen it (I still need to remove it from last year’s list…). The Dark Tower crosses multiple genres, but is mostly action-adventure-fantasy, so is going on the action list, for now. I wish I had a bit more faith in Ridley Scott’s storytelling after Prometheus, but if Shyamalan can turn it around anyone can. Agreed. I come to your site regularly as you are pretty good at updating your list as you run into good horror. One of the few sites I go to when I need a good horror flick to watch. Keel up the good work my friend! You never know with horror. The best movies in the genre tend to come out of nowhere. Despite some doubts I’m looking forward to Alien Covenant. I liked Prometheus because it took in more of the often overlooked influence of H.P Lovecraft on O’Bannon’s original concept. The main problem I can see with this one is that it leans too much on fan service when that’s precisely what has diluted the movies in first place. Not interested in Suspiria at all. To me the whole point of the original is the style. The story barely exists beyond a set up which is not dissimilar to Harry Potter (three sisters/houses, rooms that seem to appear from nowhere, and so on), Remaking it is like rewriting a novel. No mater how good the talent involved is they are not Henry James. I’m not saying this to be snobby. There are plenty of classic things I find a bit of a chore or don’t like, but when that happens I recognize that the issue is my taste not the classic thing. Remaking susperia? I don’t even know how (or why) you would. Not knocking the film, I liked it. I just can’t imagine a remake. How about a Demons remake? Don’t think argento directed (Bava maybe? ), but produced. Definitely my most fav flick he was involved with. Yeah Demons remake would be fun. Long time since there was a decent horror set in a cinema. 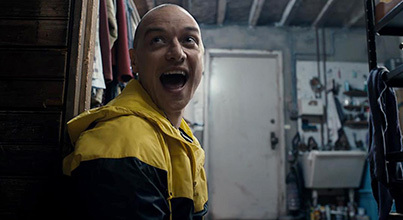 >> SPLIT SPOILER << I have it on good authority that fans of Unbreakable might like Split. ‘World War Z 2’ fate confirmed: not anytime soon – and definitely not this year. Also, the ‘Friday the 13th’ reboot seems to have been shelved… permanently! Can’t say I had high hopes for any of those two. Thanks for the update Nuno. Updated with a review of The Void, plus previews of Devil’s Candy and It Comes At Night. Rings has been removed for being bad. ‘The Void’ seems even more interesting now, and ‘It Comes at Night’ also looks quite interesting, even though it somehow sends off flashes of ’10 Cloverfield Lane’. Was ‘Rings’ really that bad? Haven’t seen it yet. Also, did you end up doing any change to the 2016 Horror Guide lineup? Because It Comes At Night is so mysterious, it’s hard to determine if it definitely will be horror, or more like 10 Cloverfield Lane. I think it has a creepier, more unsettling edge to it, compared to ‘Lane which was more Hitchcockian suspense. The Void feels like a film from 25 years ago and if you like its influences is definitely worth a watch, though I wouldn’t call it a classic. Rings has an IMDB rating of 4.5 and Rotten Tomatoes of 7%, which are both terrible. Making a sequel to The Ring has proved an impossible task for filmmakers, including the director of Ringu. It seems to be a concept that only works within a single film. Bye Bye Man will be the next to go bye bye. I’ve been slowly working my way through last year’s late releases, but not updated the list yet. I was hoping Beyond The Gates would chart, but now I’ve seen it, it was my biggest disappointment. I’m expecting The Autopsy Of Jane Doe and I Am Not A Serial Killer to get added. Potentially Ouija 2, Eyes Of My Mother and Evolution. On a side note, why don’t you keep the “bad” movies in a separate part the list (like “honorable mentions” or “not good enough to make the list”), like you used to do in previous editions, instead of removing them altogether? Still would give readers a chance to know about them and whether they are worth seeing or not; if they are not mentioned at all, people may think you forgot them and will see them unaware that they may be about to waste a few more hours of their lives. I may add the ‘not good enough’ back, however I just found too many readers were complaining about the one film in there that they liked, often with venom, and so it became a less positive experience overall. Also with only so many hours in the week I’ve been actively avoiding watching the more notoriously bad ones. I used to watch a lot more, but nowadays I tend to skip those with lower overall ratings. As for the complaints, there will always be some. As long as you make it clear that it’s a list based on personal tastes and explain why those movies were left out (and that you haved indeed seen them), you’re pretty much entitled to your opinion no matter what. People will always complain about their favorite movie being left out (more so than those happy to see their favorites in, who usually keep silent). As long as you stay true to your opinion and don’t take comments personal (which usually ends in losing one’s composure), it should be less negative. You’re going to have to be less comprehensive, you’re almost a decade behind, the Prom Night remake does not need to be watched! Considering that I started with 1920 and covered up almost everything up to mid-2008 in about 5 years, it may not take too long to catch up. But yes, the last decade has seen a boom in horror movies of variable quality and I really must only stick with the essentials. The ‘Prom Night’ remake is actually one of next ones in line and I was actually considering skipping it, since I didn’t even like the original. Now I’m certain. Thanks for the heads up! I love ❤ horror movies I’m a HUGE fan of them when I get home I sit right on the couch straight Away And watching. All the latest horror movies and my favourite is Cult of Chucky if u haven’t seen it go watch it now its awesome! Previews – Tragedy Girls, My Friend Dahmer, The Limehouse Golem, Jigsaw (Saw 8), Killing Ground, Better Watch Out, Darren Aranofsky’s Mother! Thanks for a cool list! When I try Google to find a good list of Horror movies, it comes up with sites that are actually horror movie / review / news sites (UHM et al); I would expect they would post a nice list of movies reviewed by them. Though most of the time they leave me guessing, which movies were good by year. Thanks for keeping it clear.